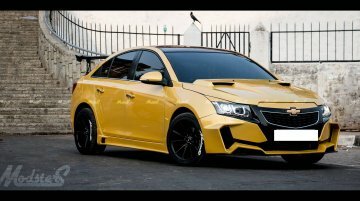 A Chevrolet Cruze has undergone a complete makeover by Chennai-based Modsters Automotive, drawing inspiration from The Transformer's Bumblebee character. 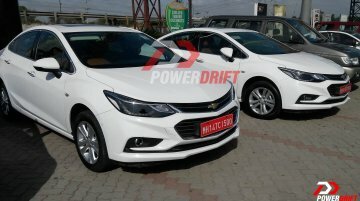 The latter is based on the Chevrolet Camaro..
A couple of units of the 2017 Chevrolet Cruze were spotted recently in India with test plates. PowerDrift uploaded the images showing the two units finished in white parked next to a Tavera. This is.. Probably the most aggressive-looking Cruze in India. A Chevrolet Cruze has undergone what appears to be a crazy customisation job by Kerala-based 360 Motoring and has emerged to be the most aggress.. Confirmed to arrive in India next year. 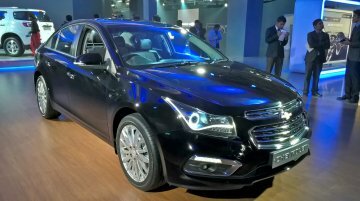 While a 6-speed manual gearbox is standard, the 2017 Chevrolet Cruze diesel variant will offer an all new 9-speed automatic gearbox as an option when it..
New model available in seven trim levels, starting at RMB 109,900 (INR 11,02,784.71). 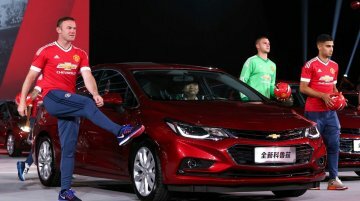 Chevrolet launched the 2017 Chevrolet Cruze in China earlier this week. 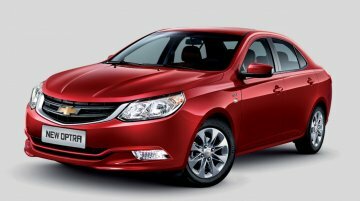 The Cruze in China is now identical to..
China-spec Cruze gets identical to the North American-spec Cruze. 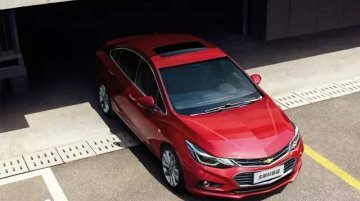 The China-spec second generation Chevrolet Cruze was introduced at 2014 Auto China 2014 (2014 Beijing Motor Show). In June 2015,..
Chevrolet has showcased the Chevrolet Cruze facelift at Auto Expo 2016, with a special LED headlamp. The sedan, which was launched last month, gets minor cosmetic updates. 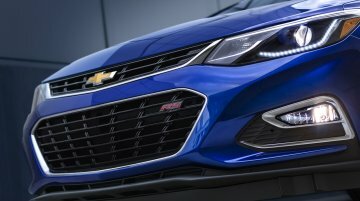 The exterior revisions..
GM won't launch a 3-door Chevrolet Cruze Hatchback. 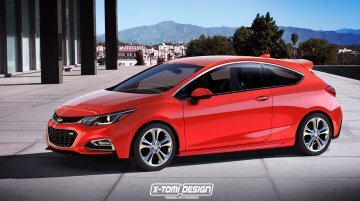 The second generation 2017 Chevrolet Cruze Hatchback was revealed this month and X-Tomi Design has created a rendering of a 3-door variant. The C..
Will feature a more powerful engine than the standard's 1.4L turbo unit. 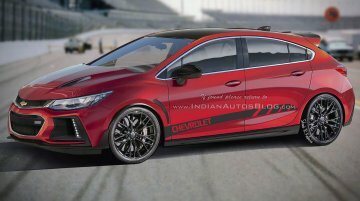 Soon after the second generation 2017 Chevrolet Cruze Hatchback's unveiling at the 2016 North American International Auto..
Will be unveiled in Detroit next week. 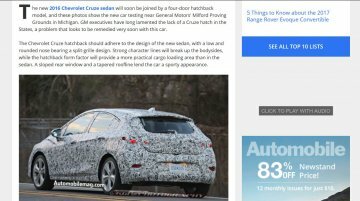 The 2017 Chevrolet Cruze Hatchback's monocoque has been snapped ahead of the car's world premiere at the 2016 North American International Auto Show next.. Goes on sale in USA in Fall 2016. Update - Official reveal video has been embedded in the story. GM has revealed the 2017 Chevrolet Cruze hatchback ahead of its world premiere at the 2016 North ..
Next-gen model expected in 2017. 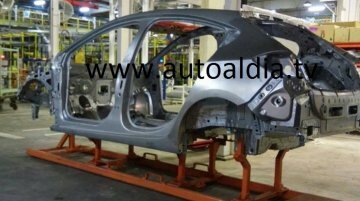 Sources have confirmed to Indian Autos Blog that GM India will launch the Chevrolet Cruze facelift at the Auto Expo 2016. The model in question will resemble the..
Will go on sale in U.S early next year. 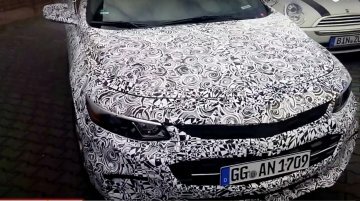 The next generation 2017 Chevrolet Cruze has been spotted testing in Germany by Youtube user Daniel Weblauscher, featuring a camouflaged exterior that tries..
Is sold alongside the version it replaces. Shanghai GM had showcased the second gen Chevrolet Cruze sedan at the 2015 Shanghai Auto Show held in April. The car is sold over there along with its..
Will likely be powered by a 1.4-liter turbocharged engine. 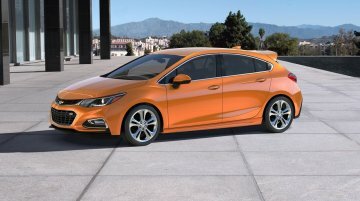 The North American-spec second generation 2016 Chevrolet Cruze was unveiled this year as a sedan, and like the first gen, has been..
To sit below the Chevrolet Cruze. 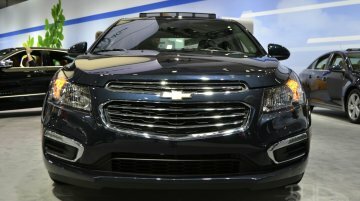 According to Motoroctane, General Motors will be expanding the Chevrolet portfolio with at least five new models by 2017. Along with that, the company is rumored..
Expected in India in early 2017. 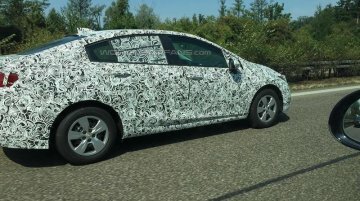 A spyshot of the India-bound 2017 Chevrolet Cruze has emerged from its testing program in Europe, on Motor1. 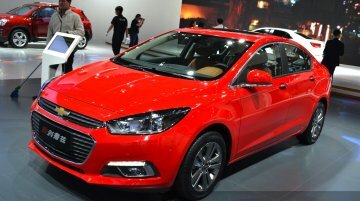 The global version of the new Cruze was unveiled in..